Question: What is Arctic Tern? 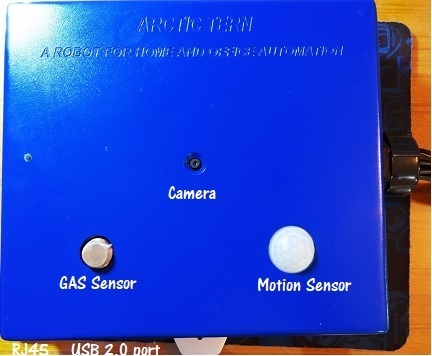 Answer: Arctic Tern is a device that does surveillance, face recognition, switching on/ control of home appliances and monitors ambient parameters like temperature, humidity, sound, gas leakage, smoke, fire etc. The device has many models based on features and functions. It is useful and suitable for home, office and factories. Question: Where can I buy Arctic Tern? Option-2 – From the approved retail stores. The retail store list will be updated and made available when it is ready. Question: What does the device do on surveillance? Answer: close observation, especially of a suspected intruder or criminal or unwanted animals etc. Arctic Tern Device is designed to do surveillance of specific area / location round the clock or specific time slot and send alert through SMS, Email, and File Sharing when any visible activity is observed. Question: What does the device do on home automation? Answer: Arctic Tern does below list of tasks and many more tasks can be added based on additional specific requirement. Remote control of Home Appliances such as AC, TV, Light, Fan etc. Automatic sensing of Gas Leakage, Temperature and Humidity and corresponding corrective actions. Question: Can we see a demo? Answer: Demo is available online, which can be demonstrated through web conference. And if actual Email and SMS required from demo then you need to share your mobile no and email id. Question: What is the price of device? Does this price cover future support? Answer: Arctic Tern will have different Models with different features and functions. Arctic Tern Classic will cost around Rs 20000 including GST. However you are advised to contact Agile Intelligence (https://agileintelligence.in) for more detail in price based on features you choose. Question: Can the device only do surveillance as I don't need any home automation? Answer: Yes. The home appliances controls and Sensors can be excluded from the Model and only can cater to Surveillance. 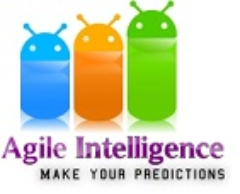 For pricing of this standalone feature please contact Agile Intelligence. Question: Can the device only do home automation as I don't need any surveillance? Answer: Yes. The surveillance camera can be excluded and for pricing of this standalone feature please contact Agile Intelligence. Question: Is there any other cost apart from purchase cost? Answer: The purchase cost of the Box does not include installation and operation cost. The operation cost related to SMS, Cloud shared folder need to be discussed after installation. Question: Who will connect the device to the electrical equipment in my home? Answer: The Startup Guide has all detail for installation and connection. It is easy to install. Any local electrician should be able to execute the job and if required Agile Intelligence will provide remote guidelines. Question: Who will install the device? Answer: The device installation is very simple as it requires fixing the box in suitable location and connecting the protruding wires to the relevant appliances. This job can be done by some experienced electrician. Other than installation there are so many software set up activities which will be done by Agile Intelligence prior to delivery. Question: How can I monitor the camera pictures or videos? Answer: It can be monitored in multiple ways by connecting to a TV / Monitor or through Mobile Phone or Through Laptop / Tablet. Question: Can I monitor and control my appliances and video images from my mobile at home or away from home? Answer: You need to install the VNC Viewer client on your Laptop or Mobile device for remote monitoring. In case you are at Home, you can use Windows remote desktop Application or you can see through connected TV monitor. Question: Can I set-up the device outside my home and see images of person who rings the doorbell? Can both me who is away from home and my wife who is in home see the person ringing the doorbell at the same time? Answer: Yes. Both can use VNC Viewer client and see the camera view. Question: What kind of surveillance is done and how will I be alerted? Answer: Surveillance is strictly looking at the image of the surveillance area and any change due to intruder is immediately recognized and system start taking picture and uploading to shared folder. In addition it sends the SMS and Email with images. Question: For how many days will the device store the camera images? Answer: There is no limit on the storage as it either sends through Email or uploads to shared folder. Question: Can the device connect to an existing CCTV camera? Answer: There are so many manufacturer of CCTV with proprietary access mechanism. Wherever CCTV video format and access is provided the device can be integrated. But this requirement need to assessed case by case. Question: Can the device scan ID and human face and do automatic attendance registration? Answer: Yes it can scan ID and human face and provide feedback on matching probability. Question: Can the device be installed at an office or mall with high power AC and electrical equipment? Answer: The control system of AC / Electrical equipment can be controlled through the relays. However the relay contact are of 250V and 10 A and we recommend not to exceed 5A direct load through relay. If higher capacity devices need to be controlled then additional relay can be installed and the end objective can be achieved. Question: How many electrical equipment can be connected to the device at the same time? Answer: There are 8 contacts readily available through 2 relays and additional 12 contacts can be installed to take care of additional devices. Question: This device is sold in which places in India? Agile Intelligence is based out of which city? Answer: This device has been sold to customers in Maharashtra and Odisha. We are planning for Pan India sell from 2019. Question: Do you have any Warranty or Guaranty associated with this device purchase? If so, what are the period and the conditions? Answer: We are providing 6 months to 3 years warranty depending on the rate contract. The replacement will be done based on Terms and conditions of warranty. Question: How does the device operate if there are no networks? When Wi-Fi comes up from being down will any restart or anything new need to be done before the device starts working again? How do I come to know when I am away from home that the device is not working or Wi-Fi is down ? Answer: Device working has no dependency on Network. But the accessibility, alert through SMS / Email or file upload is 100 % dependent on Network like Wi-Fi or Ethernet. If network goes down there is no mechanism to communicate from device. But when network is restored the connectivity is automatically establish as the system is DHCP enabled. Question: If there is any issue with the device in how many hours will you fix the issue? Answer: If there is any issue like system hangs or does respond to command, then quick and dirty solution is to reboot. However if the system does not reboot then you might need some professional help. Question: I have a small shop in a mall and have a need to check if any visitor is picking up anything. How will this device help me? Answer: If there is demarcation between the storage shelf and visitor area then surveillance can be used effectively on the shelf and anyone trying to put hand on shelf will alert the arctic tern alarms.